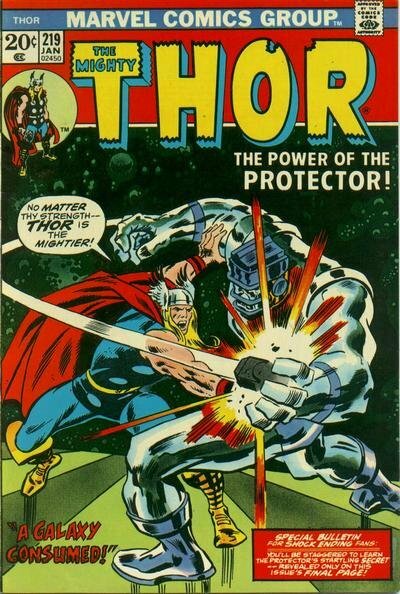 Click Here To See Thor #219 Comic Book! Thor and Sif consult with Avalon, the leader of an enslaved race of robots, before heading off to confront the Masters of the Black Stars in this John Buscema Bronze Age Thor art. Thor has long had an avid collector following, but since the Norse hero leapt onto the Silver Screen in his own feature films and the Avengers movies, the pool of buyers for vintage art from the long-running series has greatly increased. Thor is in 6 GREAT PANELS! 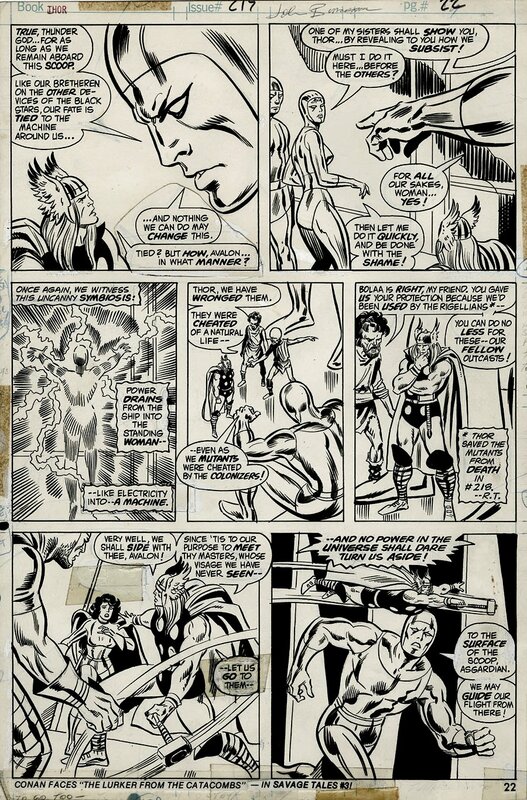 Buscema was a major contributor for Marvel in the 1970s and his style was especially effective on Thor. making this a great piece of the Thor run from the very early Bronze Age. Just a masterpiece by the handiwork of John Buscema and Mike Esposito. ALL art on our website (including this one) are able to be purchased with VERY fair time payments, and trades are always considered towards "ANY" art on our website! Just send us an email to mikeburkey@aol.com and we can try to work something out.